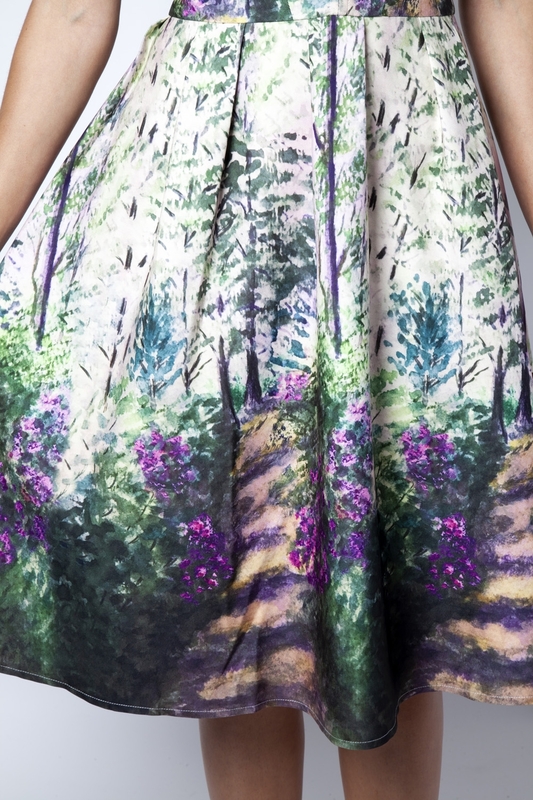 A first for Voodoo Vixen, this stunning print is was painted by one of our designer's Grandma. 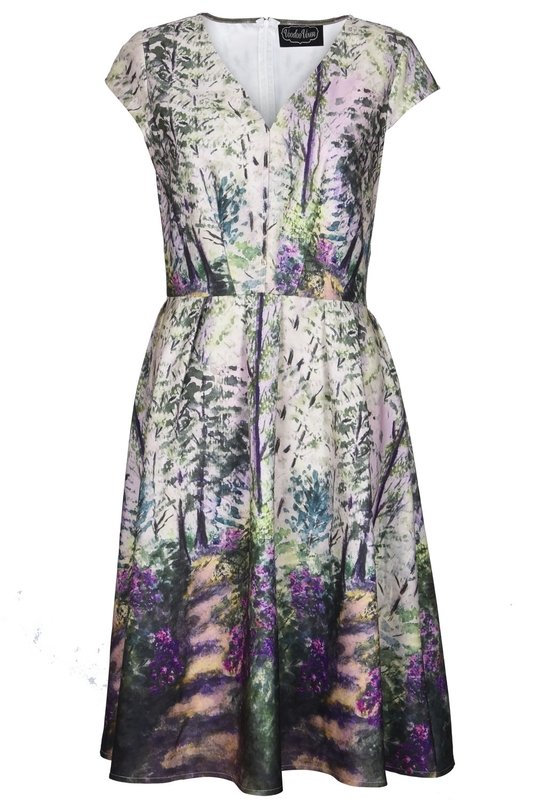 An idyllic path surrounded by gorgeous lilac flowers in the English countryside, this is such a unique and captivating piece for your wardrobe. Love the look? Check out the Emilia Yellow Floral Palazzo Pants!